This assignment delves with the aspect of strategic management for a Canadian athletic apparel retailer named Lululemon Athletica in which the competitive environment for Lululemon needs to be evaluated. Then, depending on the analysis of the internal environment, the capabilities as well as core competencies of the organisation is being discussed. After that, it is to be understood the different trends as well as conditions in the external environment that will be having a significant impact on the strategic actions of the organisation and what will be the ways by which the company will be changing its strategic direction. The major competitive brands that are competing against Lululemon in the apparel industry for yoga and sports are Nike, Under Armour, Adidas, as well as Gap and there are also certain smaller start-ups like Prana as well as Lucy Activewear that are directly competing with Lululemon. Nike – Nike is considered to be the international leader in the sales for sports apparel as well as have the accessibility for widespread channels of distribution. It offers a complete line of apparels for the workout of women. Athleta – In 2008, it was acquired by GAP and it is a fast developing organisation that directly targets the sports apparel industry for the female customers. The products at Athleta are being sold at a slightly reduced price point in comparison to Lululemon that might attract the buyers that are price conscious. Under Armour – Although, it is lacking Nike’s brand power, it is considered to be a dynamically developing organisation that is considered to be a significant player in the sport’s apparel industry for women. With the help of a growing presence in respect of retail as well as a distinguished product Under Amour is receiving a lot of success. Lululemon Athletica is offering athletic apparels of premium quality at a premium price. A signature product of Lululemon is considered to be its yoga pants that are priced two to three times the prices of the competitors. (Barden, 2015) For instance, the yoga pants that have their availability in the stores as well as online platform of Lululemon are ranged between $78 and $128 whereas the prices of similar products by the competitors are ranged between $25 and $50. Although, having such a difference in the price range, the products of Lululemon are sold very quickly. The reason for this is that the company has the ability in connecting with its clients on a deeper level in comparison to just the usual sales associate – customer relationship. Bargaining power of suppliers – There exists various suppliers that compete in respect of the business of the retailers. There is the ready availability of the materials that are used like rubber as well as cotton. This provides Lululemon plenty of choice in choosing from whom they want to do the buying. This explains that suppliers are having a reduced level of bargaining power. Threat of new entrants – There exits moderate threat in respect of new entrants. Advantages can be received from economies of scale. Simultaneously, organisations are having the ability to outsource all of their manufacturing overseas, which means there is low upfront cost of capital. It can be quite challenging for getting accessibility to the channels of distribution. (Armstrong, 2014) Nevertheless, with the help of the internet, retailers are now having the accessibility to customers throughout the world. It can be challenging for establishing a new brand, but simultaneously the costs of switching in respect of the customers are little. Threat of substitutes – There does not exist many better substitutes in respect of sports apparel, therefore the threat of substitute is little. Yes, the organisation is having a source of sustainable competitive advantage that delves with the attributes such as loyalty of customer, location, distribution and information systems, exclusive merchandise, relations with vendors, services of customers as well as multiple source advantage. Therefore, even though the competitors of Lululemon are selling similar quality products at a low price to the customers, what differentiates them from Lululemon is the latter’s culture that they cannot duplicate. (Boone, 2015) There is a deep understanding of the target market, close connection with its communities as well as an unmatched culture that assists in transforming the customers into diehard loyalists of Lululemon’s products. Outbound Logistics : Inventory Management – Lululemon does the incorporation of an inventory management system where a restricted amount of particular designs are allocated to stores for creating artificial shortage in respect of its products and enticing customers in quick purchasing of products. Service: Yoga Sessions – Along with providing athletic merchandises, the organisation offers the customers with complimentary in-store sessions in yoga that are being led by local trainers. Education – The Company is having a guest education centre aka GEC that is acting as a medium in respect of customers for providing organisational feedback and asking questions as well, regarding products as well as services. Human Resource Management: - Employee Training – Staffs are highly trained and motivated by the organisation for developing personal links with the consumers. Moreover, Lululemon provides internship for students with its program titled ‘Make Your Mark’. Well, if weaknesses are to be considered then there exist two traits viz. high prices as well as brand perception that can impact the company’s ability for competing in the future. High prices – As because, the organisation is spending a major amount of time and money to invest in research and development for developing high quality fabrics in respect of its apparels, prices are a bit costly in respect of its products in comparison to its competitors. (Baines, 2012) For instance, same kinds of products at Nike or Under Armour are sold for a much lesser price. Although, this might not hurt the aspect of doing business with its target audience of higher-income women, this might create a problem as the organisation will try to do the expansion of its audience or when the macro forces will be causing the customers in becoming more conscious about prices. Brand perception - Lulelemon has been identified as a yoga brand for a long time and due to this the organisation has got very negligible success to expand its image past this demographic. (Baker, 2010) Although, there are women who are using the brand’s apparel to run, weight-train, as well as in doing different physical activities, the company still needs to provide information to women that their apparel can get utilised in respect of any type of physical activity. One more challenging scenario, which is faced by the organisation is its struggle to enlarge its reach past its core women demographic. (Baines, 2012) For instance, menswear comprises of only 16% of overall sales, and by facing firm competition from Under Armour as well as Nike, it might be challenging for the organisation in taking steps in this respect. But having said that, there has been an optimistic target taken by the management in achieving 25% of overall revenue through menswear by 2020. Political – Among the main political issues that has a bearing on the business of Lululemon is the tax incentive that the government offers to the business. With the increase in tax incentive, the business will be receiving more profit. Moreover, the benefit accumulating to organisations as a result might get shifted towards customers that might assist Lululemon in keeping a competitive pricing in relation to other organisations. Moreover, in respect of business, patents are considered to be a significant aspect that will assist Lululemon in maintaining its distinctive product offerings as well as qualities and safeguard it from getting utilised by competitive brands. Social – There is a growing awareness in respect of living healthily that states that there is going to be a demand for apparels related to fitness. But what should be cared about is that the benefits claimed regarding those apparels should be authentic and the customer is required finding it at the time of use. Moreover, there is a growing concern in the society in respect of the businesses’ environmental footprint that will impact their decision to purchase. For changing the strategic decision for Lululemon, it can be stated that there exists increased options of products that have their availability for customers. This is considered to be significant as it will be putting the end-user in a major position and switching from one brand to another can occur very easily. This is important in respect of Lululemon since it will be working hard to retain its share of market and expand it further. It will be essential to look at new areas for expansion. (Johnson, 2011) The market is getting more price sensitive, and as a result, the organisation’s pricing policy needs to get reassessed. In respect of the economic scenario that is provided, there is occurring a change related with disposable income, and there might occur a falling out of premium products from getting favoured since customers will be preferring quality along with affordability. Growing competition is another issue that Lululemon should be working on. Having low entry barriers, more organisations will be joining the industry since it is considered to be very profitable. Lululemon needs to boost its business functioning for retaining its share of market that is facing competition from brands that are new as well as established. (Johnson, 2011) With the advancement of technology, there is growing expansion of the market and therefore, organisations are increasingly considering the path of e-commerce for reaching out to new customers. Therefore, it can be deduced that, expanding the market, which is limited in respect of Lululemon, should possess the main concern. Lululemon is continuing to pursue a strategic aspect in having concentrated differentiation, focusing on a segment of consumers concerned with health as well as fitness. This strategic aspect has its foundation in an organisational policy that is endorsing a particular type of lifestyle, which is supported with the help of its products. (Jenkins, 2011) The organisation is preaching a pursuit towards becoming happy by enjoying life, giving emphasis on friendship, setting of goals as well as to remain active. Finally, the business strategy is for branding the organisation as favourable towards a specific manner of living by providing yoga classes for free in respect of staffs as well as customers, building a representative programme as well as to provide emphasis on the sustainability of their functions. (Jenkins, 2011) With the help of this strategy, lulelemon did its transformation to a business that is community-minded as well as environment friendly, which is doing more than just selling apparels and merchandises for fitness, which assists the organisation in gaining an exclusive as well as safe and sound position in the market. The risks associated with the business level strategy for Lululemon delves with the fact that when a business level strategy gets selected, Lululemon must do the monitoring of business very carefully and avoid getting complacent. The business level strategies have the requirement for the companies to remain attentive all the time in respect of the customer needs as well as the potential infringement of competition. When a business does the implementation of a strategy, it should steer clear of developing tunnel vision once the business does the actualisation of a specific success level. (Jenkins, 2011) For instance, Lululemon should always be remaining updated with the new technological aspects for the retention of the present base of customers as well as working towards attaining new customers. Currency – Another challenge is the unexpected fluctuation of currency that might wipe out the profits for the company. The comparative strength of the US dollar in comparison with the currencies of the countries where Lululemon will be doing business will be deciding whether the products or services will be costly or cheap. This can be reduced with the help of currency hedging. 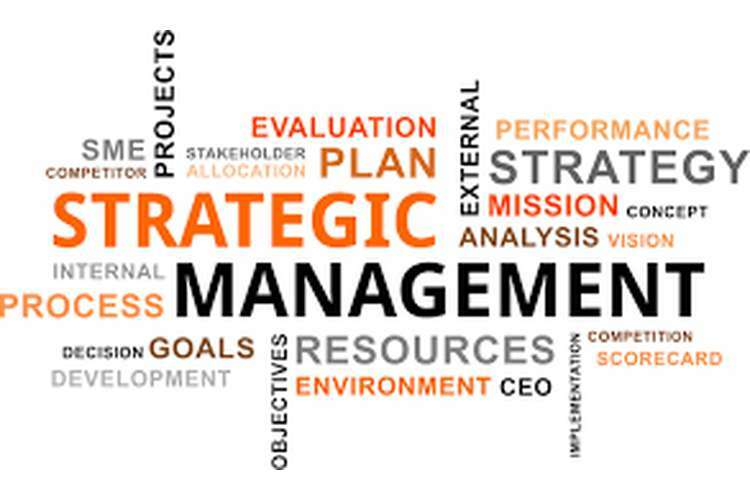 In the present scenario of business where there is stiff competition, strategic management is considered to be very important and essential for the development of an organisation. There should not occur any compromising of the brand confidence which might adversely impact the organisation in different ways possible. For instance, customer base can get lost, confidence of the investors will get lost, widespread negative publicity will get attracted and so on. As a result, Lululemon should look into these aspects with utmost significance and develop effective strategic management methods. Baker, R (2010) Implementing Value Pricing. John Wiley & Sons. Barden, M (2015) A Beautiful Constraints. John Wiley & Sons. Boone, L (2015). Contemporary Marketing. Cengage Learning. Iqbal, T (2011). 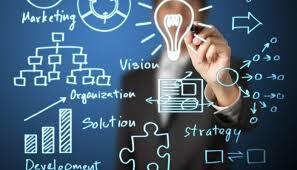 The Impact of Leadership Styles on Organizational Effectiveness. GRIN Verlag.